Outstanding young lawyer - active in the local legal community - and strives for the best possible outcome for his clients. Adam grew up in Mobile, Alabama and graduated from McGill-Toolen Catholic High School in 2002. Adam spent most of his college years in south Louisiana where he attended Louisiana State University and St. Joseph Seminary College in St. Benedict, Louisiana. Adam returned to Mobile his junior year of college. He graduated from the University of South Alabama in 2006 before returning to Louisiana for law school. Adam attended Loyola New Orleans College of Law in the Common Law program and graduated in 2010. 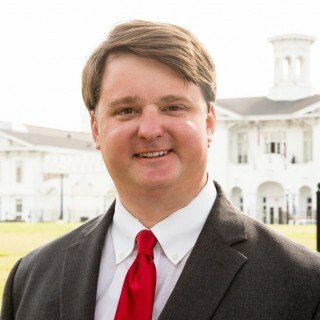 While in high school and college Adam worked for his family company, Jarvis Plumbing Co. and renovated several historic homes in downtown and midtown Mobile, AL. 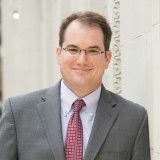 Adam is licensed to practice law in Alabama, Florida and Louisiana. Adam lives in Midtown Mobile, Alabama with his wife, three children and two dogs. When not in the office, Adam enjoys grilling and barbecuing in the back yard and working on the ongoing restoration of his Great Depression era Bungalow style home. The Jarvises are parishioners of St. Mary Parish in Mobile, Alabama. Free initial consultations may be in office or over telephone. Contingent fees are not appropriate or allowed for all types of cases under state law. Jarvis Law Firm, PC offers a range of payment options including traditional retainers, deposit with monthly billing, payment plans and mixed fees.